If you avoided the crowds over Thanksgiving weekend and are looking to buy your holiday gifts online, then you’re in luck! Here’s my list of favorites that I use in my very own kitchen, and a few non-food-related items too. Whether you’re shopping for a relative, a host or hostess, or your special someone, you’re sure to find something they’ll like here. Oh, and by the way . . . this gift guide post is also a GIVEAWAY! 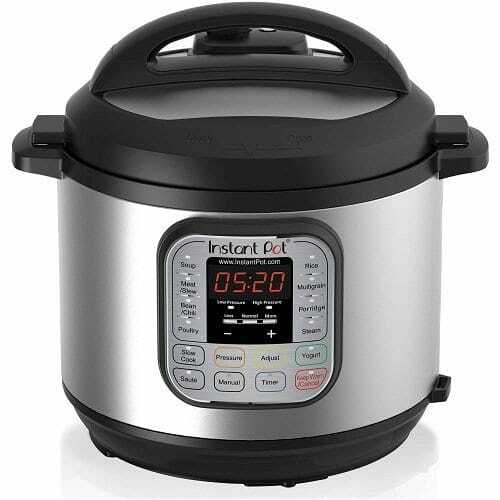 This week, Instant Pot has given me one of their latest models, the IP-DUO60 pressure cooker, to give out to a lucky reader. My husband got me one for the holidays last year, and I use it all the time (I’ll tell you more about it in the guide below). You’ll find instructions for entering the giveaway at the bottom of this post. Best of luck! Surely by now you’ve heard someone in your social circle extolling the virtues of their Instant Pot. Last winter, my friends Danielle and Michelle could not stop talking about how they were using theirs constantly, and how easy it was to whip up weeknight meals. I put one on my Amazon wish list, and what do you know, one magically showed up under the tree last year. 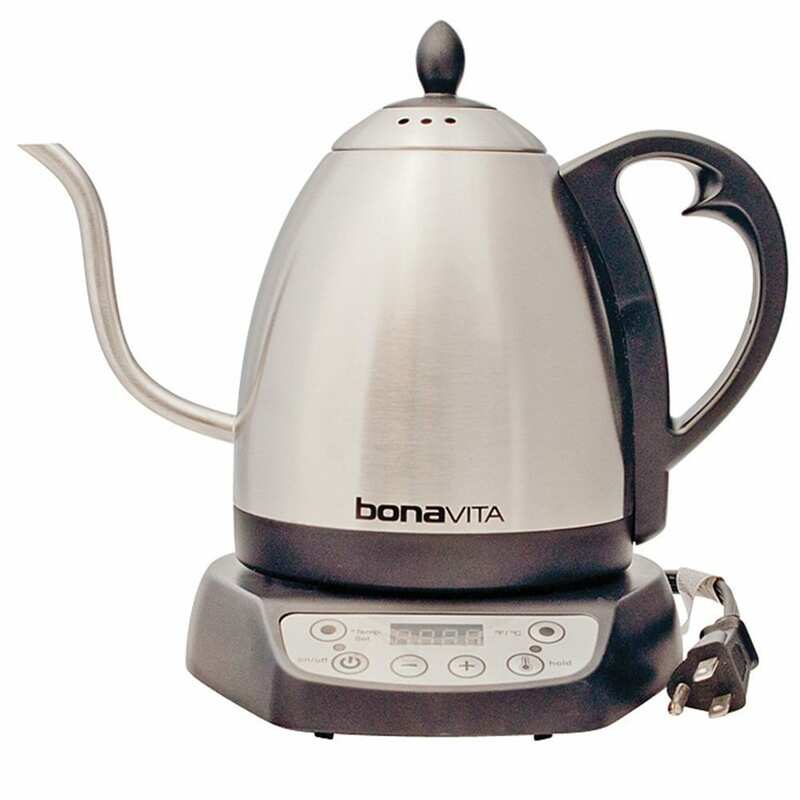 Pressure cooking used to be scary, but this electric model is whisper quiet and safe to operate. No rocking pressure regulators to be found on this thing. I’ve used mine about once a week since I got it last December — I love it for recipes like chicken drumstick soup, kale and carrots (that recipe works great with collard greens too), turkey chili, and sausage and white bean soup. If you need more ideas for your Instant Pot, I happen to host a facebook group with lots of Instant Pot Recipes from around the web! The company also has an awesome community page where users share their own creations. 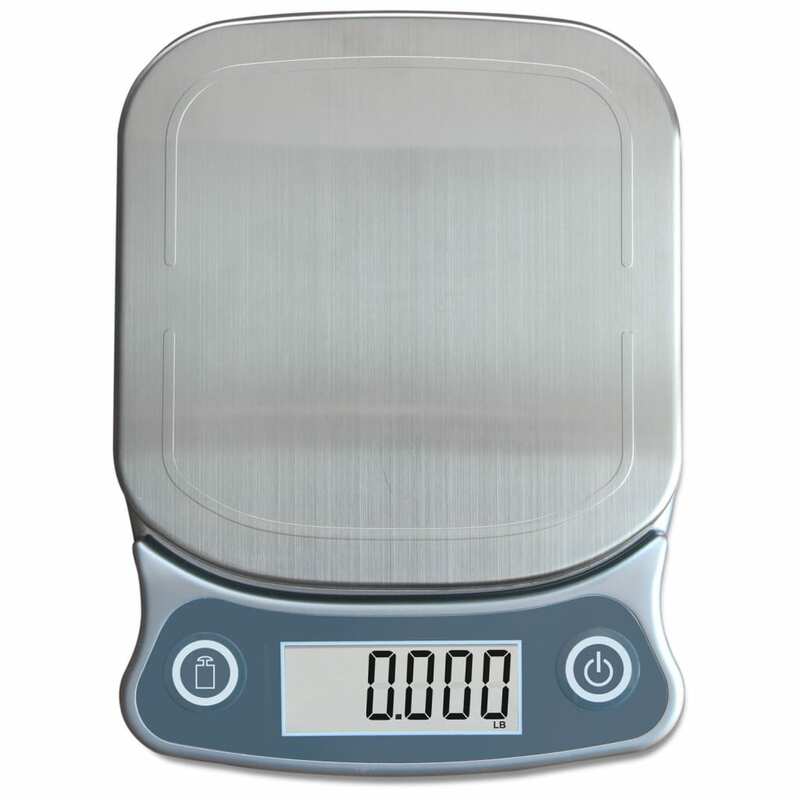 I use my kitchen scale for so many tasks that it has a permanent spot on the counter. Instead of dirtying measuring cups and spoons, I usually reach for the scale and make a mental volume-to-weight conversion instead. Even for something like measuring a tablespoon of oil into a hot skillet, the scale is useful — I just put the bottle of oil on the scale, hit the “tare” button to set the weight back to zero, then pour oil into the skillet and reweigh the bottle until it’s at -14 grams. I also use my scale for measuring coffee beans into the grinder every night, for a super-consistent brew. I’d been using the EatSmart Precision Pro Scale for years, so when they asked if I’d like to review the Elite model I was happy to oblige. 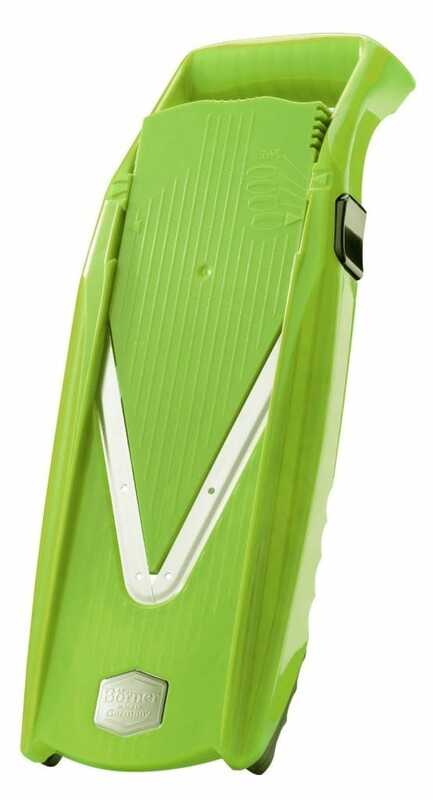 The Elite is a jump up in quality and capacity — it has a max weight capacity of 15 pounds, a good bit more than the Pro model’s 11. It also has a large and sturdy stainless steel platform, so it won’t tip even with a heavy bowl on top. For a long time I was scared of using a mandoline, but that all changed when I found cut-proof gloves. Now I use my mandoline all the time. It’s great for super-thin slices of radish in salads, which is probably what I use it for the most. And with that glove on, I don’t have to worry if my fingers get close to the blade when handling small vegetables. The Swissmar mandoline comes with a hand guard, but I don’t often use it if I’m wearing my glove. 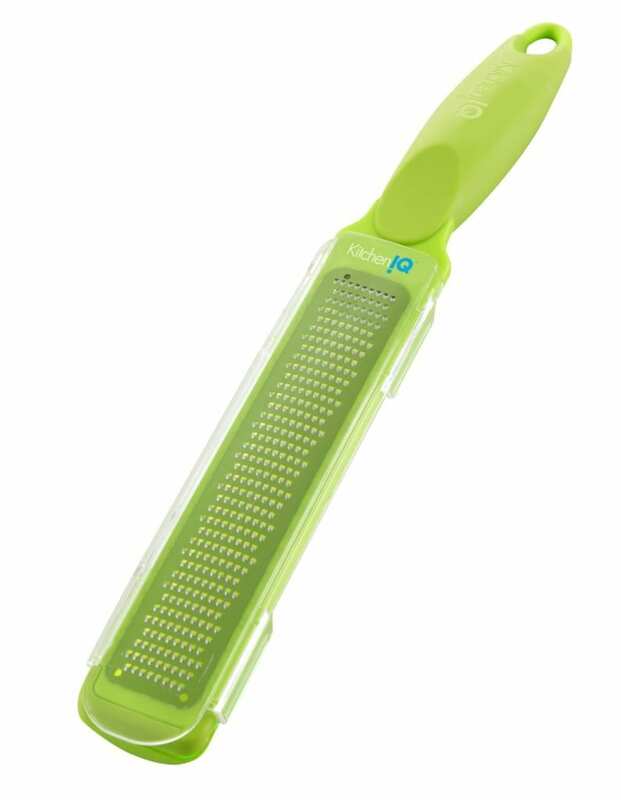 Besides the basic, adjustable blade, it has large and small julienne blades which store away in a little case that attaches to the mandoline. The large julienne blade is great for big batons of jicama or sweet potato oven fries, and I use the small one most often for shredding cooked beets for salad, or cucumbers and carrots for summer rolls. I can’t wait until my Whole30 is over so I can bust out my baking mat again. Not because I’m going to bake a batch of cookies or anything — its perfectly nonstick surface makes for easy cleanup when I bake Paleo-friendly pizza crusts, plantain tortillas, apple chips, and fruit leather. These foods are too similar to off-limits treats, so they’re not allowed on the Whole30, but they’re fine for everyday meals. 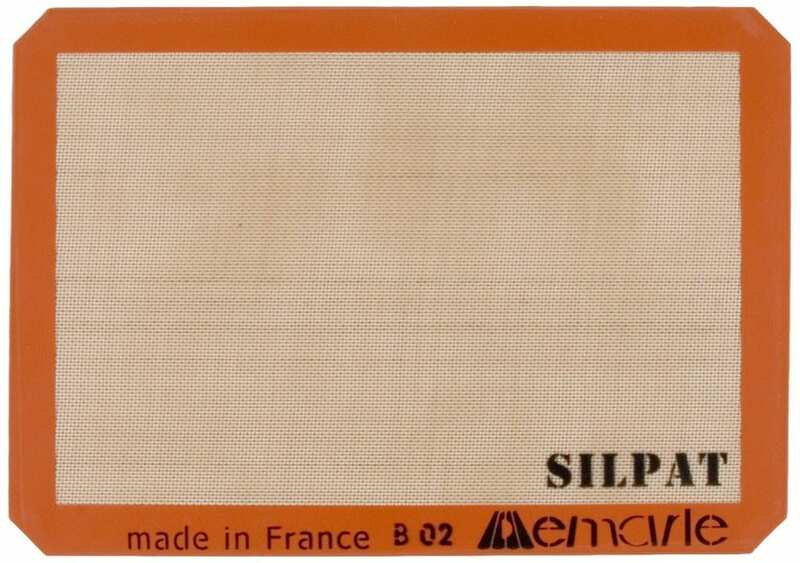 And I wouldn’t be able to pull them off (especially the tortillas) without a Silpat. Oh boy, has this gadget proved its worth lately. My husband bought it, actually, and I was initially skeptical as to why anyone would want to bother with the sous vide method. I have since learned that it produces perfectly poached fish and tender steaks more reliably than any other method. I used to worry about messing up a fancy steak, but no more. The Anova unit is great because you can use it with pretty much any pot, or even a food-safe plastic container. I just clamp it to our biggest stock pot, fill it up with water, then turn on the immersion circulator. It’s minimalist and intuitive — I didn’t even have to read the instruction manual to figure it out. 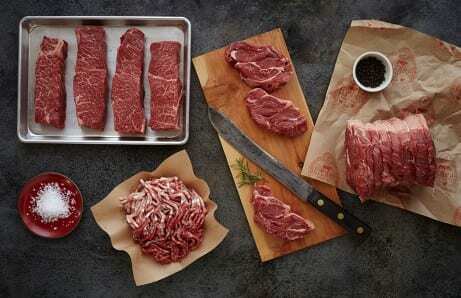 Steaks take about 45 minutes to reach the doneness of your choosing. A quick sear in a hot cast-iron pan, and you’ve got perfectly cooked steak that’s pink from top to bottom, every time. I tried to go for a while without a nonstick pan in my arsenal, but this Le Creuset number has reminded me of why they’re so great. Nothing sticks, the clean-up is dead easy, and I can once again cook fish fillets without them falling apart. This pan has a pretty steep price tag, but it also comes with a lifetime warranty, which is more than I can say for the numerous nonstick pans that have bit the dust in my care over the years. Since it was sent to me for review a couple weeks ago, this pan has become my go-to breakfast buddy. It is as nonstick as it gets — eggs slide around so much it’s actually tricky to get my spatula underneath them! I’ve been making breakfast hashes with leftover cubed sweet potatoes and some chopped greens (or whatever other vegetables are in the fridge), then scooting the hash to one side of the pan and cracking a couple eggs on the other side. The hash stays nice and hot while my eggs cook, making this a one-pan, 10-minute breakfast. Boom. I’ll be honest. When I first received this zester, I wasn’t sure I’d really use it. As it turns out though, it’s the one I reach for most often. The clever plastic reservoir in the back catches everything, and it even has measurement markers. This way if I’m following a recipe, I can easily zest exactly a teaspoon of lemon zest, for instance, without having to grate it onto my cutting board and gather it up into a spoon. This is a handy little gadget that someone would never think to buy themselves, so it’s perfect gift-giving material! It’s a great option for a stocking stuffer or a thoughtful hostess gift. 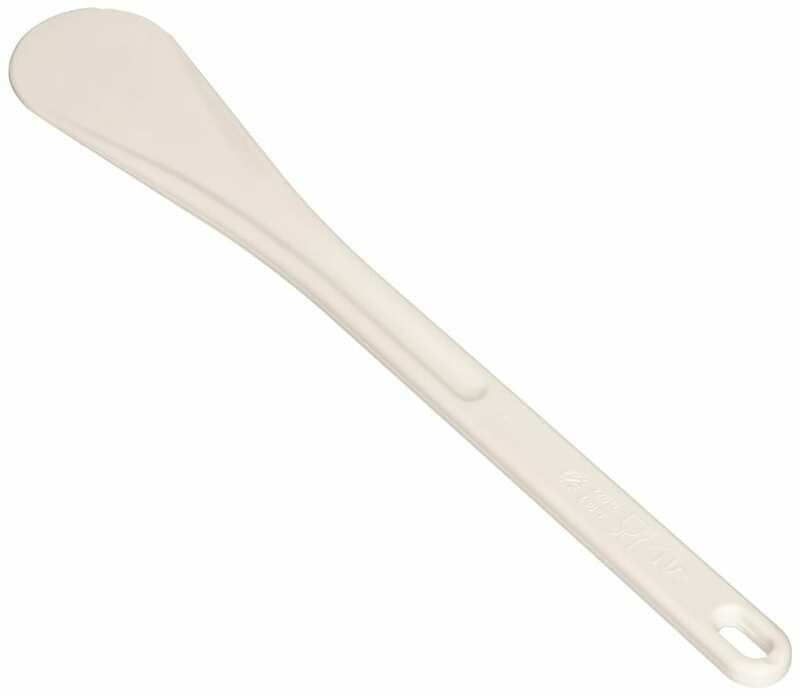 Speaking of great stocking stuffers, this spatula would slip in quite nicely. It’s perfectly flat with a narrow, rounded edge, just right for scooting sautéing vegetables around a pan. 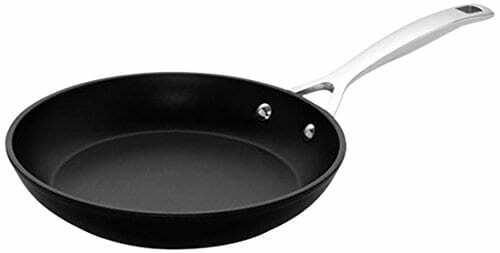 The Exoglass material is heat-resistant up to 430ºF, and it’s safe to use in non-stick pans. I first used one at my editor Christine’s house, and I couldn’t resist ordering one the minute I got home. This is another present we received as a wedding gift that I use at least a couple times a week. You really do need a big ol’ covered skillet in your arsenal for side dishes to serve more than two. I make vegetable braises all the time in this pan — check out these beautifully braised shallots and fennel, glazed just-so with the pan’s wonderfully even heat. It fits over a pound of green beans, too, which are super-easy to steam-fry to perfection. We picked up sets of these at the Irish Design Shop while on our honeymoon in Dublin, and we use them every night. 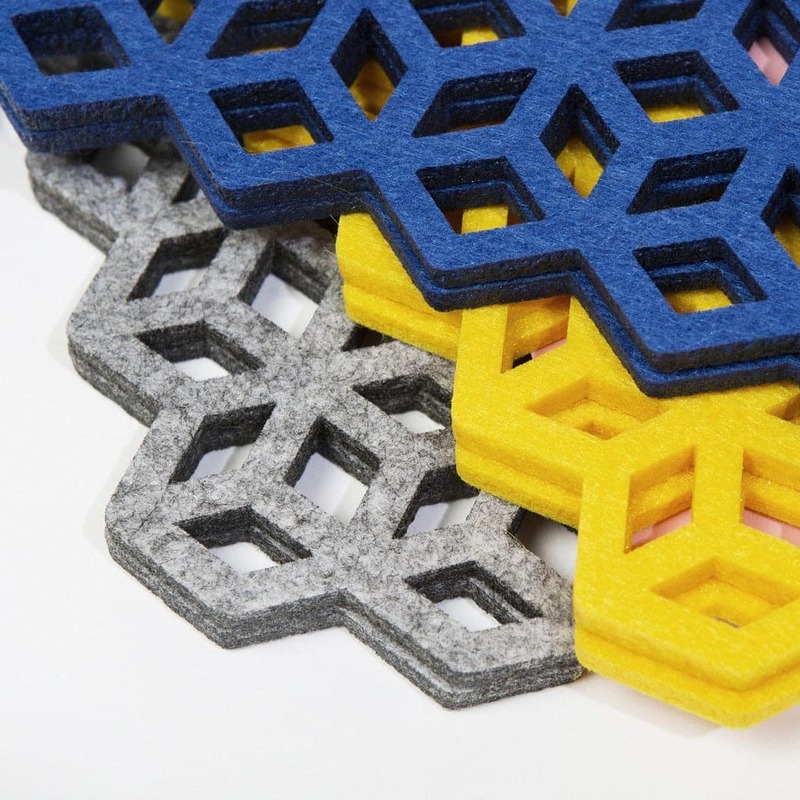 There’s a bold, geometric aesthetic to these pieces, but the soft material and cut-away style makes them dainty enough to fit into any decor. 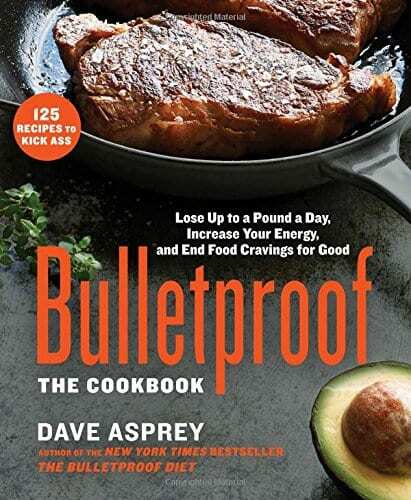 If there’s one Paleo/Primal/Ancestral/Weston Price/Whole30 cookbook I’d recommend this year, it’s Dave Asprey’s Bulletproof Cookbook. Say what you want about the science, these recipes are good. I love the focus on abundant, fresh, in-season produce. This is how I want to cook all the time, and best of all, I’m learning about the healthiest ways to prepare my favorite foods as I cook through the book. When I received my press copy last week, I busted out my post-it tabs to mark all the recipes I wanted to cook. As it turned out, it was hard to choose favorites — out of 125 recipes, I tabbed 25 of them (and that was totally ignoring the desserts section, which is off limits during my Whole30)! So far, I’ve made the salad pictured above, as well as a hearty beef chili with butternut squash, and both were excellent. This is the kind of food I can cook for myself and my husband while satisfying all of our dietary preferences and needs. I don’t buy a lot of meat, but when I do, I try to find the highest quality, most sustainably-sourced products available. Bel Campo Meat Co. happens to have a butcher shop just a few minutes away from our home, so it’s easy to make great choices when we feel like having grass-fed beef for dinner (they also sell pork, game birds, offal, and house-made bacon and sausages). Their Butcher’s Beef Box would make an over-the-top gift for your favorite meatatarian — it includes two kinds of steaks, pot roast, and ground beef. There’re also plenty of less spendy options in their online store if a smaller gift is in order. Pereg kindly sent me a few of their spice blends, and I have been loving their version of Ras el Hanout. It is warming, well-balanced, and not spicy-hot. The other night I used a few tablespoons in a long-cooked braise of lamb shanks for authentic Moroccan flavor without any measuring or guesswork. 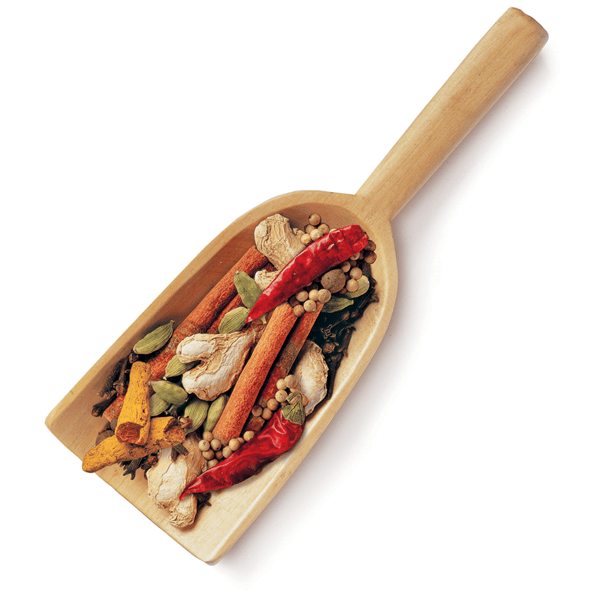 I rely on spice blends all the time in the kitchen, for flavoring meatballs, soups and sauces. Ras el Hanout is also amazing on roast chicken — simply add a little oil to make it into a paste, then rub it on and under the skin of the whole bird. Roast it right away, or even better, let it marinate overnight for even better flavor. Buy up a selection of Pereg’s spice blends and stocking stuff to your heart’s content. Philz Coffee is a Bay Area institution for good reason — their coffee is on point. I haven’t been drinking the caffeinated stuff lately, but when I do it’s their Tesora blend all the way. 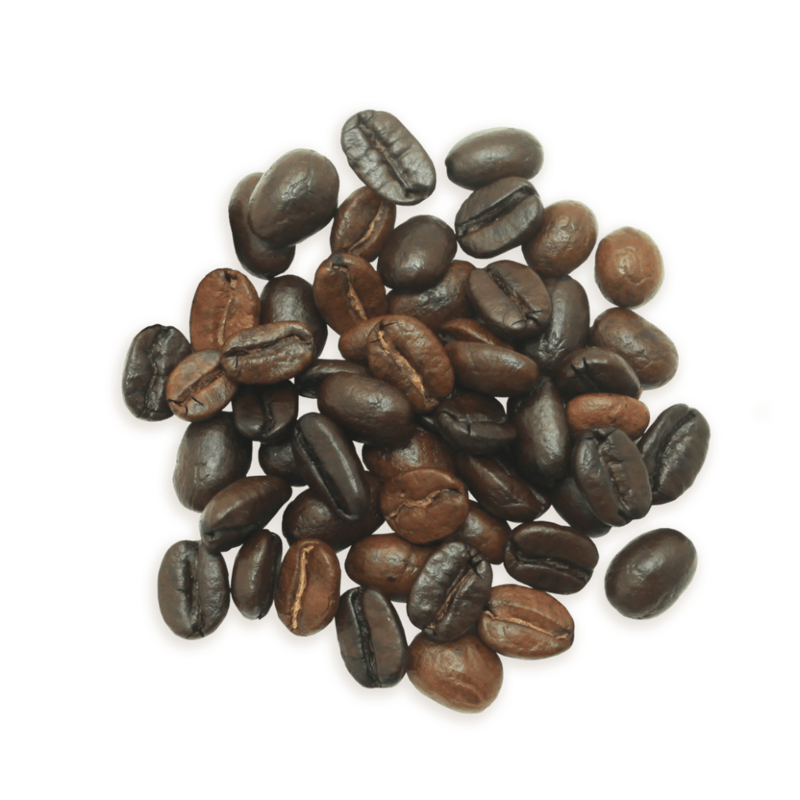 With aromas of butter, nuts, and caramel, it tastes great black or with a splash of cream. Even better, it happens to be on holiday special for only $10 for a 1-pound bag until 12/31! These days, I’ve been drinking mostly decaf, and their Swiss Water Peru is by far the best medium roast decaf coffee I’ve had. It tastes like the real thing, especially when brewed nice and strong. For a coffee lover who’s kicking the caffeine habit, this would make a lovely gift. 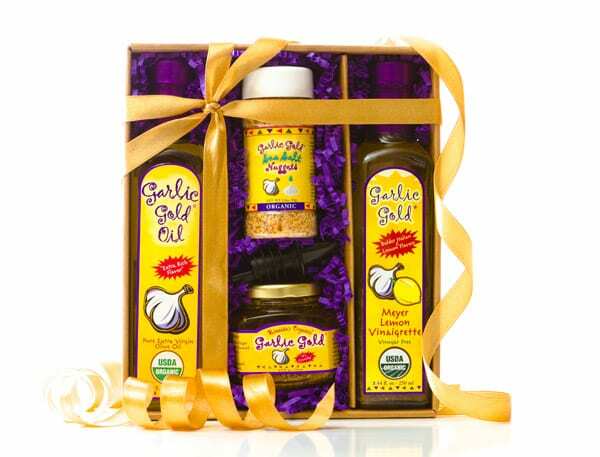 I’ve been developing recipes for Garlic Gold® for years now, so you can believe I know their products well! Their shakers of toasted garlic bits (a.k.a. “nuggets) are awesome for sprinkling on salads, pastas, roasted vegetables . . . you name it. They also make super-flavorful vinaigrettes, as well as a garlic-infused oil that you can use in place of olive oil in any recipe. Their gift boxes make great, ready-to-go presents, no wrapping required. If you have a garlic-loving person on your list this year, then this is a no-brainer. For a long time, I struggled with finding a comfortable way to listen to podcasts in bed, since they tend to be the quickest way for me to drift off to sleep. Enter SleepPhones®. I bought these last April, and I use them nightly. It’s not a stretch to say that I couldn’t get to sleep without them! 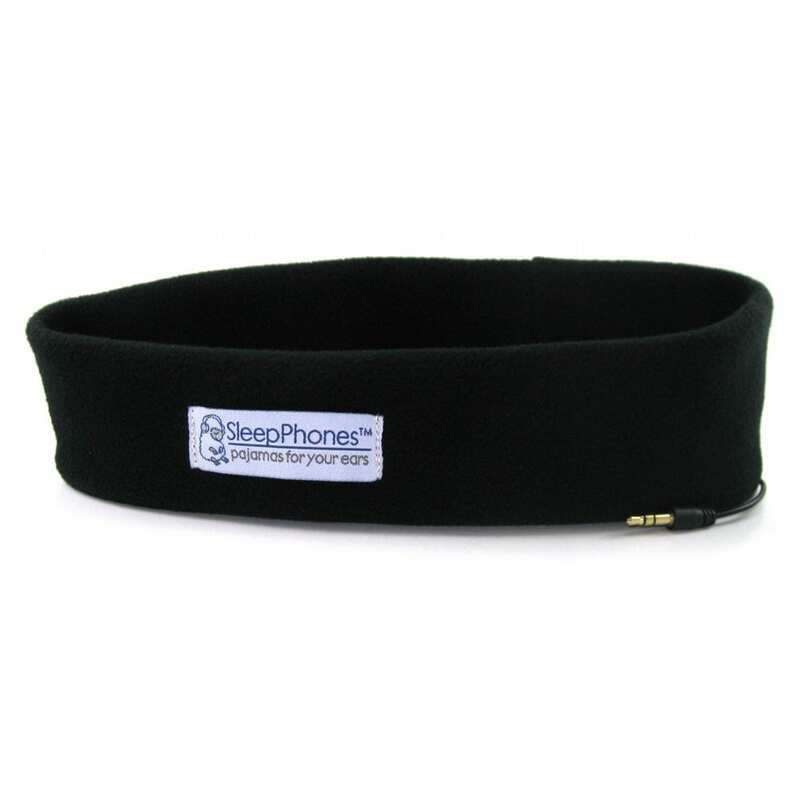 The fleece band fits over your head like a headband, or you can inch it down over your eyes for a combo sleepmask/headphone situation, which is my go-to. The headphone speakers are super flat, so you can even lie on your side comfortably (try that in earbuds or traditional headphones). Acoustic Sheep also sells a more expensive wireless bluetooth version, which would be a good option if your giftee tends to toss and turn at night. This thing is the mother of all yoga mats. My mother-in-law gave it to me last holiday season, and I’m pretty sure it’s going to outlast me! 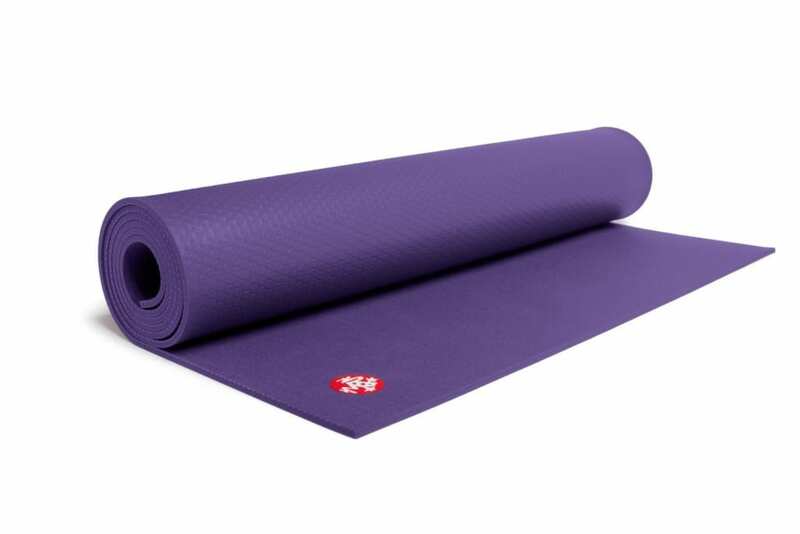 The Manduka PRO is a whopping 85 inches long and weighs nine pounds, and it’s a generous 1/4-inch thick. While I don’t really need the length so much (I’m all of 5’1), a very tall yogi would certainly benefit from the Manduka’s oversized dimensions. Mostly, I really like how thick and cushy the mat is — it provides great knee support in cat/cow and low lunge poses without any added padding. If you’re getting this for someone, consider adding on a mat carrier too — it’s necessary for carrying this particularly heavy-but-awesome mat to the gym and back! To enter the Instant Pot giveaway, simply leave a comment on this post telling me what you’re most excited about this holiday season. The giveaway ends at 12:00 midnight PST on Friday, 12/4. A random winner will be chosen and announced on Monday 12/7. I am most excited about giving and decorating! And of course, coming up with fabulous recipes for the holidays! I’m most excited about having time with my family for the holiday. I have a daughter who is allergic to over 60 foods and we cook constantly to keep her fed. An instant pot would be amazing for the time it saves. I am most excited about after 2 years, my family will all be together. Granted it will be the week after Christmas, but we will be together! I just wish my dad was alive to be there and see it happening! Spending time with family! And lots of cooking!!! I’m most excited to spend time with my family and grandson. I’m excited to see my family! I love my IP so much that the thought of winning one to gift to a friend would be beyond awesome!!! Great blog! I’m most excited about holiday lights. There’s something magical about seeing all of the houses around us decorated for Christmas. …and I’d love to win this giveaway. I’m most excited about being with family, sharing food, fun and faith. I’m excited to see my daughter who’s been at college. I love baking Christmas Cookies, it is my favorite tradition. I could use one for a gift or keep it for myself! Lol! Most excited about decorating the house and creating new holiday traditions with my kids.. Thank you for the giveaway. This holiday season I’m most excited about my new lifestyle of healthy eating. I switched to whole foods plant based eating in August and I just made it through Thanksgiving without gaining a pound and feeling great and not deprived at all. I’m learning a new way to cook and prepare foods and having the pressure cooker would continue to help me on this journey. Thanks so much for the offer! Being one of six siblings, most excited about all of us getting together with our families to celebrate Xmas and New Year! Thanks for sharing your site with me. Hope i win. I’m excited that my husband finally graduates his computer science program in December. I am most excited about the season is the happiness I feel from learing so much this past year in terms of cooking with my instant pot. I have always enjoyed cooking but using this appliance really has stepped up my confidence and I would be very happy to share this excitment with my daughter. 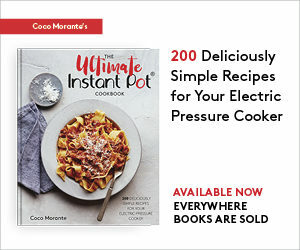 She cooks constantly and could really use a instant pot for Christmas! Can’t wait to see what recipes I find on your page. Thank you for the opprotunity to win something so useful. 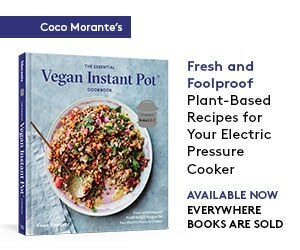 Can’t wait got Instant Pot! Love all your gadgets! I have a pressure cooker but not an instant pot. I have purchased 2 IP. One for my daughter and one for a Christmas gift. My next IP purchase will be for myself so I can make all the great recipes on th IP facebook page of which I am a member. Thank you!! I am most excited about spending time with my husband. He works so hard and one day for just us with no distractions is the one thing I cherish! Big flakes of snow lit by outdoor Christmas lights – so beautiful, such a cozy feeling! Good luck everyone! I’m most excited to see the look on my children’s faces Christmas morning! I am most excited about baking Gingerbread and having my daughters home from school. I love cooking in my kitchen during the holidays.???? I’m most excited about doing my own homemade cooking this season! Clean eating!! I’m most excited about all the possibilities for making delicious comfort food in my IP this holiday season. I’m so excited about my kids actually getting into Christmas this year since they are finally old enough. I can’t wait to see them open their presents. I’m blessed. I’m most excited about having both of my girls home from school for Christmas.We’ll bake and decorate cookies – same recipe and cutters that I’ve been using since I was a little girl and made them with my mother. I’m looking forward to celebrating the birth of our Savior, Jesus Christ, who is the reason for the season. And spending time with family and friends. 11/30/15…sharing this wonderful season with my hisband and fur babies! I am excited about getting all my family and friends together over good meals to enjoy all the holidays this season. I’m most excited about spending quality time with the ones that I LOVE! I’m excited about spending time with my grandchildren this Cristmas. I look forward to trying my IP for the holidays and cutting down cooking time! I am excited that a new grandbaby is on the way, and that I can have a full weekend off this year to spend time with my family! As a fairly recent widow I have found cooking for one to be a challenge. The Instant Pot has changed that as well as posts from others like you who have stimulated me to cook again. Would love a second pot so I can cook more than one item at a time. So in other words… Please pick me???? I’m looking forward to spending time with my family this holiday season. Everyone is busy with work and kids and sadly it’s hard to make time for one another. And it really shouldn’t be. But this holiday season, the planets must be aligned because I’ll get to see everyone and spoil them with love. I am excited to enjoy my family during a stress less holiday – my favorite time of the year!! I am super excited about seeing the looks on my kid’s faces when they see what Santa brought them. That is my favorite thing every year. I would love an Instant pot for my growing family. My mom just bought one and I am completely jealous! Thanks for the giveaway opportunity! I have tons of dried beans waiting to be cooked in this pot! The thing I am looking most forward to this holiday is spending time with our friends who just moved East from West. It’s been a culture shock for them and having an intimate time with good friends will be such a tonic for them and also fun! I’m most excited about those headphones in a headband! I did not know such a thing existed! Off to out that in my wish list! I’m most excited to spend some quality time with family. We moved halfway across the country last year and have not been able to see either side much since leaving. Our 2.5 year old son will finally get to meet my husband’s side of the family. I’m most excited to spend time with family who are flying in for a visit over the holidays! As a college student, I’m most excited to go home for the holidays to see my family and eat home cooked meals! I’m most excited about spending time with family & friends over the holidays. I have the week off between Christmas and New Year’s so I’ll have plenty of time to see everyone. I’m fairly new to the Instant Pot and have quickly fallen in love with it. I share its wonders with everyone I know! I am most thankful for being able to afford to give good gifts this year!!!! I don’t have an instant pot yet but I am getting one. I am excited about changing the way I cook and taking the pot along on camping trips. Looking forward to getting my IP tomorrow – continuing on the path to a healthier lifestyle. For the holidays – looking forward to being with family! I’m just excited about spending time with my wife, kids and grandkids. Of course as Southerners, good food is ALWAYS a part of the holidays! I’m most excited to have all of my family together for Christmas! I’m most excited about having the time off from school to celebrate and enjoy my family. I have a 6 year old and 2 year old boys that we will have lots of time for snuggles and play. Curling up by the fire with at the end of the day with a blanket and a hot cup of tea. Can’t wait to spend time with family, especially grandkids. I’m excited to be around family I don’t get to see often abd to see everyone’s eyes light up at their gifts. The best about the holidays is having family and friends close by, and who nows, maybe win a instant pot???????? I am most excited to be cooking a lot this holiday season….my brother is sending his 3 kids to visit from the Middle East to America for the first time….and I will be taking care of them and cooking for them as well as my mom…. My mom is scared to take on such a responsibility …but I assured her that if I get to win the Instant Pot ….we will manage to provide the kids different nutritious meals in no time. So please I hope you choose me so I don’t fail as a surrogate parent right away this holiday season! I am most excited about having family altogether for Christmas. Excited too that now I can make all day chili in about an hour. I am very excited about finally feeling like I have my sh*t together this holiday season so I can move through it in a healthy and conscious way. I have completely remodeled my relationship to the holidays from being a superficial and consumerist approach to one in which my health and wellbeing take a front seat to the seasons mindless activities. I am pulling out some books on healthy eating that I have collected and taking time to assemble meal plans that fit my lifestyle. This along with implementing various health related practices, I am getting a head start on my New Year of Health! I am most excited about doing some holiday baking and being able to share it with family. im excited to cook this holiday season! Yay Christmas cookies! I’m looking forward to actually being of on Christmas Day and spending time with my loved ones. I’m most excited to finally get rid of my stupid gallbladder and enjoy a pain-free holiday with my family! I’m excited to learn how to use the instant pot and see what I can make in it for the holidays !! I’m excited that our granddaughter (4 years old) is coming to visit for the holidays. Spending time with her helps me feel like a kid all over again as she shows me the world through her eyes. I also really appreciate your incredibly helpful gift suggestions for things I know will be used and appreciated every day of the coming year! Winning an Instant Pot to gift to our son’s family would make it a perfect holiday! The only thing I am missing is a Pressure Cooker. It would be perfect to have the IP to make pressure cooker recipes and then get rid of my other appliances such as the rice cooker and the slow cooker. Being in my new house with family and lots of friends. Unpacking my kitchen things that have been stored for 6 months so I can cook again. I will be grateful to cook again! I NEED a second instant pot!!!! I’m most excited to learn how to cook with an Instant Pot. It sounds like this will definitely fit my lifestyle. I’m most excited about being with family and sharing great food! I’m most excited about spending time with family and sharing great food! I’m most excited about cooking turkey in the instant pot that I’m going to win! I’m most excited to watch my daughter as she experiences the holidays. She’s still young so every year is a new experience for her as she grows up. I am excited that after 12 years of being a stay at home mom, I’m back at work and loving it. I have less time for cooking though, so an instant pot would be great to speed things up and get great meals on the table when I come home. I am excited that after 12 years of being a stay at home mom, I’m back at work and loving it. I have less time for cooking though, so an instant pot would be great to speed things up and get tasty meals on the table when I come home. I am most excited about the possibilities in my IP for the holiday season! I’m in love! I’m most excited about having another Christmas with my 91 year old mother. I’m most excited about having time off work to spend with my family and using some of that time to experiment with my Instant Pot that I’m getting for Christmas! I’ve read that a lot of people have more than one therefore a second one would be nice! I am excited to spending quality time with my two boys after a busy year. I would be SOOOOO excited to have a second Instant Pot to help me prepare my Christmas family dinner. 🙁 Missed every deal out there for Thanksgiving discounts. Thank you for the opportunity. I’m most excited to find that “perfect” tree and decorate with my kids! I am most excited to cook my Christmas dinner using my Instant Pot!!! I am most excited for the food! My family does the fish dinner every Christmas Eve, and that’s just one day. It seems like this time of year, everyone is making something delicious! I’d love to win the Instant Pot so I can churn out more great food, fast! Cooler weather, soup, and bonding with family. I’m most excited for being with family and the ability to cook with them. You can’t buy that kind of human interaction with money. I am excited for the upcoming holiday deer hunting season. This is the first year I went with my dad and I ended up killing a buck! So it will be good eating in the instant pot with soups! I’m most excited for my kids to open the calendars I made for them with pictures from though out the year. The thing I am most excited about is celebrating Christ’s birth with my family including my son who has been studying abroad in Rome for 3 months. I miss him a lot! I just learned about Instant Pot and would LOOOVE to win one. It would be such a time saver in cooking for my crew: DH, 3 adult sons (with big appetites!) and 15yo daughter. I would love one so much! My birthday is the 7th, the day you are announcing the winner ???? And I would love to make some pumpkin cheesecakes, spice cakes, and other goodies to celebrate! I’m most excited to spend time with my two young kids decorate our place, being together making Christmas crafts, baking and family time together. For me, Christmas is about family togetherness. My son is graduating from college!!!!!!! Lots of food and fellowship – an IP will help tremendously!! 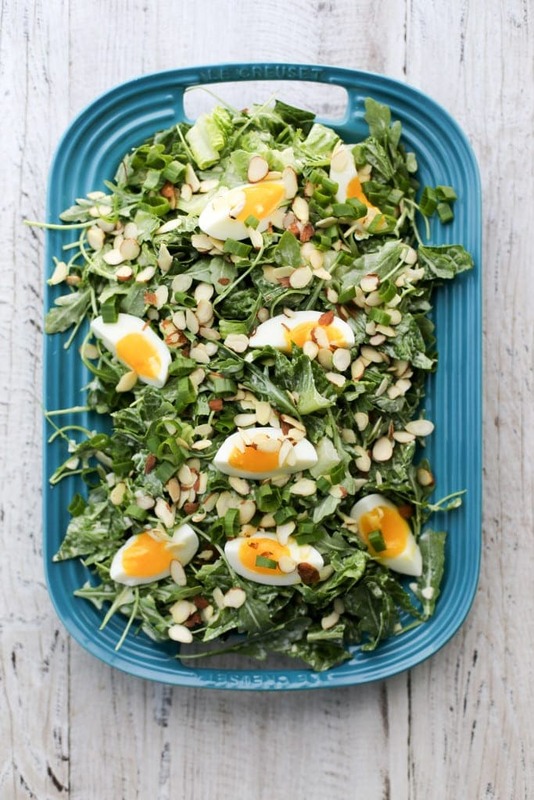 I am most excited about trying and sharing new healthy recipes that my family can’t believe are healthy! I am most excited about listening to Christmas songs while we wrap presents and bake cookies. A fun tradition. Learning to cook in a pressure cooker! PCs were waaaay to scary for me! Looking forward to a safe one! My husband and I have been changing our relationship with food and eating healthier, we currently eat. My sister just picked up an Instant Pot which we used over Thanksgiving, with the ease of use and how fast it cooks, we were sold that this would be the perfect item to help with healthier eating. I’m most excited about being together with my family. Thank you for the opportunity with the giveaway! I am most excited to have all of my family together!!! I am most excited about spending time with family, old and new. I took a new job this year that has included more travel than promised, and I have missed seeing my family. As a single mother, my daughter has spent too much time staying with others away from her home during my overseas trips, so I am going to take two weeks off to be with her, and Ruth my mother, and also to meet my biyfriend’s family. I would love to win this Instant Pot because it would allow me to cook healthy and delicious food for them all while maximizing the time spent with them since the Instant Pot does so much of the work! I am most excited to learn new ways to cook and share this with loved ones and friends. The instant pot pressure cooker recipes look amazing. I am most excited to have some time off over the holidays to enjoy time with my children and grand children. I am most excited about celebrating the birth of our Savior and spreading joy especially to the children I will visit wth. Looking forward to surprising my kids! I’m excited about some much needed family time with the holidays coming up. Three day weekend times two for our family in the month of December! Yay! What a great post! I am so excited to be spending time with my family over the holidays and our NEW PUPPY!!!!! I am most excited about cooking Christmas dinner! I’m most excited this season to cook big pots of soups, stews and casseroles now that the weather is cool. And I’m excited to cook healthier meals and share them with friends and family. I’m most excited to see, hug, kiss and play with my grandbabies. They are just a joy to be around, but unfortunately done live close by. Happy Holidays! I am so excited to give my boyfriend one of those wifi sleep band that you’ve listed (he can’t sleep without music and he lived tech toys), and being able to spend the holidays with my family, who all live 1700 miles away. What fun it would be to surprise a special someone with a wonderful instant pot!! I am most excited to share yet another Christmas with my best friend, my husband. He keeps me young, makes me laugh, helps me remember things, keeps me on task and, best of all, loves me. In return, I try to cook him delicious meals. Some are better than others. With my new IP, the homeruns are closer together. I’d love to share this discovery with my daughter and her new hubby.. Her cooking time is variable, as she works in retail, and an IP would help a lot. Thanks for the giveaway. Spending time with family and eating great food. Most excited about spending time with my sister, her kids and grandkids in Seattle! Shopping downtown, home cooked meals, warmth, love and hugs! I just love Christmas. Th end. I would love to win an Instant Pot as a wedding gift for my daughter. Thank you! Love your Holiday Gift Guide! Gave me several ideas…for me and others! I am looking forward to enjoying time with my nieces and nephews who will be home for the holidays. I am most excited by my family being together to share a good meal. The laughter and talking around the table is magical. Doesn’t get any better than that. Makes my heart so happy!! I’m most excited about spending time with my family this holiday season. Thanks for the giveaway! I’m most looking forward to enjoying the traditions this time of year brings. Looking forward to the celebration of our Lord’s birth. I’m excited about cooking healthy and enjoying time with family and friends! Spending time with family and friends, cooking and drinking wine. SO many good things on this list! Out of everything, I think I’m going to need to buy the OXO spatula. I am SO picky about my spatulas, and I’m intrigued by that one. 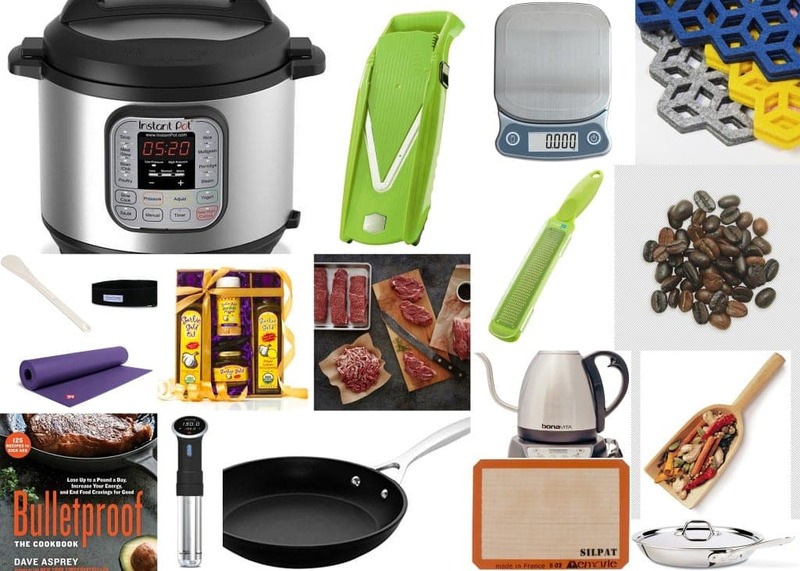 And yay for Instant Pot giveaway! I’m excited for all the cooking and baking. I ordered some cute festive takeout containers and can’t wait to fill them with hot, fresh, home cooked meals to distribute to a houseless community where many families with elders and children reside. I’d love an IP! It would mean less time in the kitchen and more time out in the world doing what counts! Just got my Instant Pot. First thing I fixed were potatoes for mashed potatoes. Can’t believe how fast they cooked and how good they were. Going to try beef stew next. I am most excited about getting to spend more time with my daughters while they are out of school. They are teens now and I love getting that time to teach them about cooking and just hanging out and talking with them. I really enjoy the young ladies they have become and want to savor this time before they move on to college and their own homes. I am excited about spending the holidays with my family. Spending some time with my parents in warmer weather! Before you go try all kinds of things and spend crazy money trying to lose weight, just go to http://untold-secrets-of-weight-loss.com/ read it completely and just what is suggested there. These guys have just made it plain simple to get in shape, simple good old fashion common sense. You came to leftyspoon.com for a reason right, take action now. I’m excited about holidays because Santas’s time is coming…. Maybe he’ll bring me a fantastic Instant Pot across the ocean, who knows! I am most excited to decorate my house and celebrate the holidays with family ! I’m most excited to see my best friend settling into her new life after unexpectedly losing her husband 2 weeks ago… rough any time but before the holidays is the worst time to feel scared and alone. I’m excited that we got new windows for our house, our gift to each other this year! It was much needed. I’m so exited to have my whole family home and I’m making them a delicious diner! I am most excited about spending the Holidays with my family. We always spend a lot of time together and share many great meals. Winning this Instant Pot would give me the ability to share some really great meals and new ideas with them. . I love seeing all of my family on the holidays.I’m really happy that my baby cousin gets to come home for Christmas. She didn’t get to last year, she’s based in Texas in the Army and we’re in Oregon. I can’t wait! I’m so exited to have a big family diner! I’m excited my niblings (nephews and niece) are coming in from the Philippines, and we’ll all get together with their grandma. My niblings are coming in from the Philippines! I’m most excited about having two weeks off from work during the holiday. Yea me..! I’m most excited for xmas eve and enjoying a white elephant gift party!